REUNION DEADLINE - DON'T BE LEFT OUT! 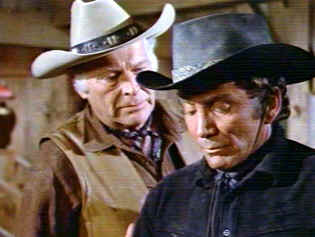 The deadline for The High Chaparral Reunion is HERE - 2/1/2013. If you're attending you must make your reservation now or miss the party. Reserve at WWW.THEHIGHCHAPARRALREUNION.COM. Meet Henry Darrow (Manolito Montoya), Don Collier (Sam Butler), Rudy Ramos (Wind), Producer Kent McCray and Susan McCray (casting). Book signing with Henry Darrow and co-author Jan Pippins of his biography, Lightning in the Bottle. Visit the original ranch house set. Question and Answer panel with cast and crew. Fans who've attended in the past call it a 'dream come true' and 'once in a lifetime trip'. 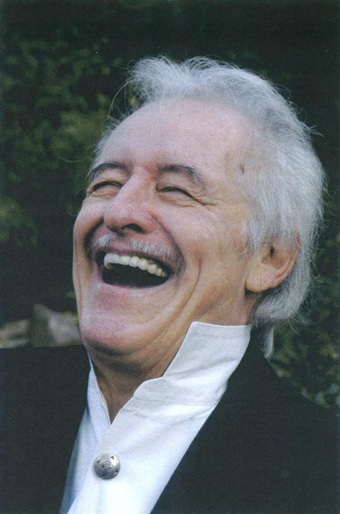 For Manolito fans, Henry Darrow has announced he doesn't plan to attend future Reunions, so this is your chance to meet Manolito Montoya, get a copy of his successful biography Lightning in the Bottle, and have it personally signed! For more information and to register go to thehighchaparralreunion.com. Then join us in Tucson, and join the party. 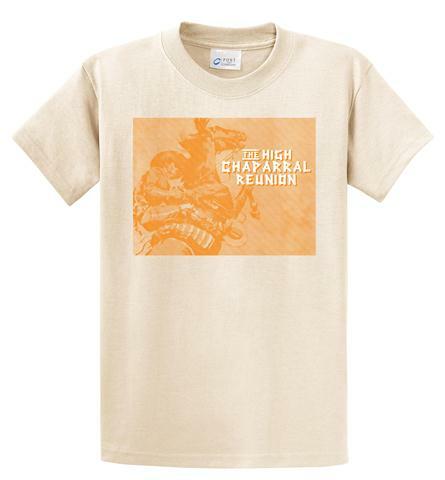 See you at The High Chaparral! Henry Darrow and co-author Jan Pippins will be signing copies of his successful biography Lightning in the Bottle at The High Chaparral Reunion, March 22-24 in Tucson. 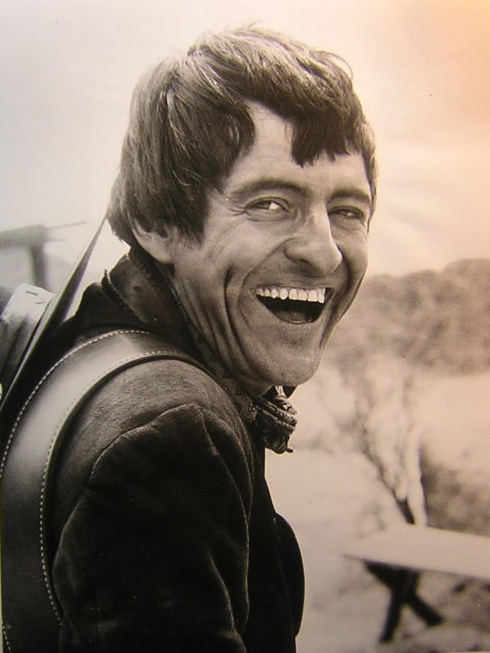 Henry Darrow was the first actor of Puerto Rican heritage to star in a television series, The High Chaparral. "Henry survived and had a career when if you were Latino, you couldn't be just good, you had to be beyond great and that's Henry," says noted writer/entertainer Rick Najera. At the height of his fame Darrow put his hard-won career on the line to open doors for other Hispanics. He has continued to break ground for over fifty years as a working actor. He was the first Latino to portray Zorro, the first Latino to win a Daytime Emmy for Best Supporting Actor and in 2012 he received the prestigious ALMA award for Lifetime Achievement from the National Council of La Raza (NCLR). "Henry Darrow: Lightning in the Bottle" is the must-read portrait of this inspirational, fiercely determined, endearing and enduring performer. It was a significant emotional event. That’s what the Army calls it when they start you off in basic training. “We’re going to create a significant emotional event in order to change your behavior so you’ll become soldiers.” And so they did; and so I became one. But now, 32 years later, I’d had another such occurrence. Only this one had a less noble cause. This one had no cause at all. Unless you want to call plain meanness an end-goal. But there it was. A close friendship undermined by lies. Betrayal. Discovery that people you loved and trusted chose silence over principle. Safety over justice. Ugly revelations with a viper’s sting. Disappointment. Hurt. Anger. How do you realign your world after all those years and have faith again? Faith in people? Faith in God? Such was my world in early 2013. Trying to make sense of the whole thing. Questioning my values. Trying to cling to the belief that God shuts a door but opens a window. Trying to be like Job. Finding out I’m not Job at all. I retreated. Thinking. Sorting. Searching. Thank God for family. For the puppies. Dogs can draw a smile on the darkest days. I turned to writing, an early love. Ideas and principles come alive in print. They’re things you could—or even would—die for, and a strong belief in noble causes is a good thing. So I settled in at my office and began to decorate the walls with pictures and quotes from different people and books that have inspired me over the years. Verses that defined what I believe in, that help explain why I’m who I am. If this significant emotional event was going to change me, I needed to remind myself what values were important lest I become like my tormenters. “Look, I done a lotta stupid and wrong things in my life, but I always steered clear of lying, stealing, gunnin’ people in the back. If I ever start, it won’t be to save my skin. 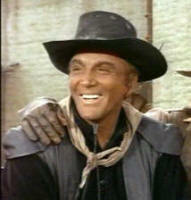 Under them circumstances it wouldn’t be worth savin’.” Buck Cannon in the episode Auld Lang Syne. Even though he always feigned the persona of a humble nobody with an inability to express his feelings, Buck’s dialogue is riddled with profound revelations. His sense of right and wrong is indelibly marked in his heart, his head and his backbone, and his actions reinforced those beliefs for me. Wait a minute. Buck Cannon? I’m how old now, living in the era of techno-wizardry, and I’m quoting a fictional cowboy from 45 years ago? Where’s this coming from? 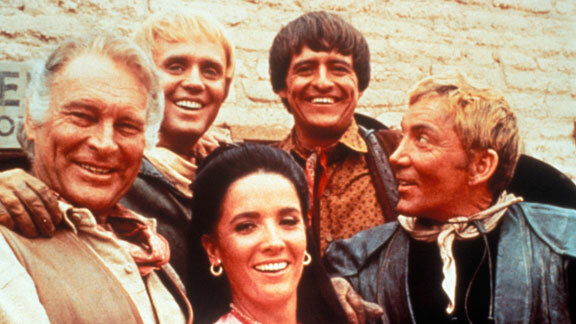 I had put all thoughts about The High Chaparral far away over the past 30-plus years. I guess because it was rarely, if ever, shown in syndication until recently. I grew up with it. Loved it. I started watching again. The Cannons, the Montoyas, the hands, the Apaches. My God, I had forgotten—not the show or the characters—but the impact it had on me. The curtain drew back and I saw, I really saw. A lot of who I am came from who those characters were, and what they portrayed. 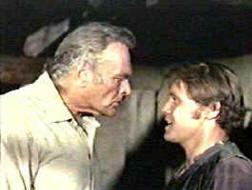 I discovered my roots were in the sand of a place called High Chaparral two thousand miles away. I fell in love with Buck at the age of 8. Regardless that Cameron Mitchell was 41 years my senior, I was willing and ready to leave Pennsylvania for Tucson to be his bride. Well, an 8-year-old’s version of a bride. (Hey, Mr Buck, can you give me a horseback ride?) I’m sure Buck would have mounted ole Rebel and headed for Tubac or other parts unknown to escape the bonds of matrimony, free spirit that he was! There I was, every Sunday evening parked in front of the TV with my Dad, mesmerized by the night’s offering. Caught up in the drama of conflicts. As a child, trying to make sense of family relationships. My Dad’s personality was as strong as Big John’s, and my conflicts with him were not unlike those of Blue, or even Manolito with Don Sebastian. Laughing at the playful antics of the characters. Impressed with the camaraderie they shared, even though back then I didn’t know there was even a word for it. Listening to Manolito and Victoria, I picked up Spanish words and made efforts to learn them. I went on to study the language for seven years. Manólo. Qué hombre! What a brat, but a fun brat. Victoria, so refined but so capable. Firing a rifle while draped in jewelry and petticoats, protecting and supporting her family. Such great inner strength. Her beauty trumps mine by a factor of 10-plus, but as a woman, I am as comfortable in heels as I am alert on a trauma call as an EMT. Somewhat scared of John Cannon’s authority, but in awe of his strength and perseverance. Impressed by the loyalty of Sam, Joe, Wind and all the hands. In one episode, Sam asks, “Mr Cannon. You know me pretty well… Am I the kind of man to be a part of this?” John answers, “Yes.” “All right, Mr Cannon. That’ll do me,” replies Sam. Convictions, trust, honor. Wow! Do people even think like that anymore? I joined the Army in 1981. That quote was not in my mind the day I swore in, but was I aware of what the oath really meant? Did I understand the concept of acting in the name of justice even to the point of death? Yes. Absolutely. It was about duty, not heroics. And let me tell you, it was damned scary. High Chaparral was just a small speck in a very large desert. Buck and the others proved time and again that some wrongs couldn’t be walked away from, and that sometimes you had to be willing to fight and even to die. By the end of my tour, with honorable discharge in hand, I relocated to Tucson for the next 10 years. You see, I had fallen in love with the place because of the show. With no job and no place to live, I, too, began carving out a new life. The corporate world. Promotion. Relocation to Albuquerque where I worked in education with Anglo, Hispanic and Native American students. Hmmm….Anglos, Hispanics and Native peoples all in the same place working toward a common goal. Where have I heard that before? For God’s sake, my career had fulfilled part of Big John’s vision! How had all this influence seeped into my head and heart so deeply that I hadn’t noticed it? It had sunk in so much I had actually lived it. Now I’m retired, and wounded from the events described earlier. I expect people to be loyal, to be true to their word, to stand up for what’s right regardless of its popularity, to speak out against injustice, and to do the right thing. That’s exactly what didn’t happen. Despite my disappointment, though, there is a spark in the blackness. You see, God does open a window. A window of understanding who you are and what’s important to you. A window that shows you how to be true to what you believe and how to stand firm even though you’re shaking inside. A window that clearly displays the path to take…back to your roots. 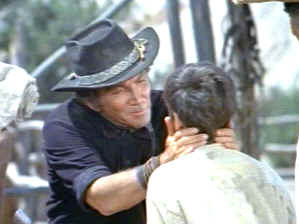 Back to the High Chaparral. I’ll be at the reunion in March, my first one. I want to meet everyone who made this iconic series, as well as those whose lives were as profoundly influenced as mine by such a beautiful story of American goodness and love, vision and sweat. The true America that embraces all ethnicities and faiths and rewards hard work. 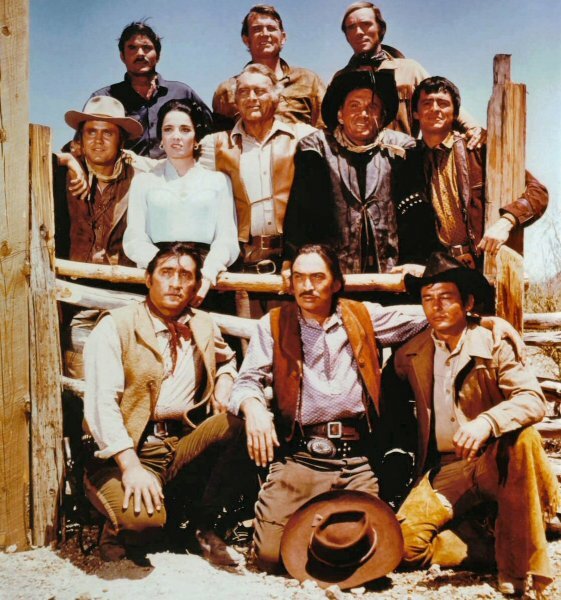 The America that was formed by real characters with character, like the folks—like my family—at the High Chaparral. Going home. That’s one significant emotional event I’ll embrace in my heart forever. INSP asked - which Ranch Hand would you want on YOUR ranch? 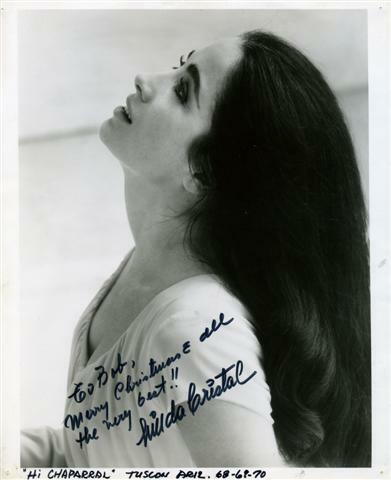 This photo of Linda Cristal is a sampling of The High Chaparral conversation on Facebook. Lately we've heard stories from fans about their HC memories, talked over ages of the characters, and wondered what happend to Blue. Join the party! http://www.facebook.com/highchaparralreunion has over 1300 fans sharing photos, videos and memories. 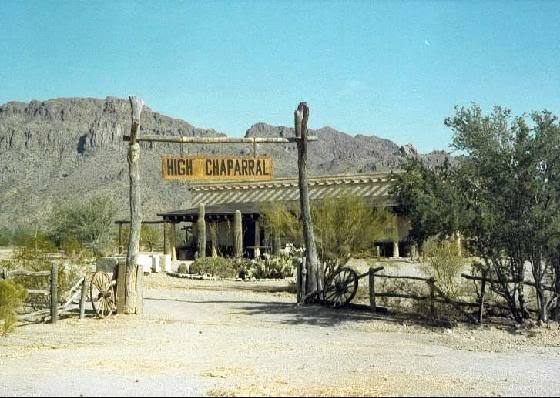 http://www.facebook.com/groups/thehighchaparral/ has great photos, background info, witty conversation and lots of dedicated fans who remember and love the show. There are pages for Linda Cristal, Henry Darrow, Don Collier, Rudy Ramos, Susan McCray - it's a regular ranch house. A special thank you to Safari Sue at WWN-Wild West News. Sue is a big High Chaparral fan. Visit WWN on Facebook for lots of photos, trivia and more. If you haven’t LIKED HC on Facebook then join the party, and re-post, share, and spread the word! Big John needs more ranch hands! (TUCSON, AZ) Old Tucson will welcome 4,000 fourth, fifth and sixth graders from Tucson and Pima County school districts during the 23rd Annual Ted Walker Youth Day on Thursday, January 31, 2013 from 9:00 am to 2:00 pm. New this year is participation by Horse Tales Literacy Project, a non- profit organization that motivates children in classrooms and community-based programs such as the Boys and Girls Clubs, YMCA’S, Girl Scouts, and Public Libraries to read and enjoy books. High Chaparral Reunion fans, do you want to attend the Reunion but funds are short? Flights are always a budget buster, but if you're determined to attend on a dime then consider good old Greyhound Bus Lines. Saturday morning at Old Tucson at the ranch is open to the public. Pay the $16.95 entrance fee, meet the stars, purchase photos see the ranch house, and spend the rest of the day at the Wild West festival at Old Tucson. 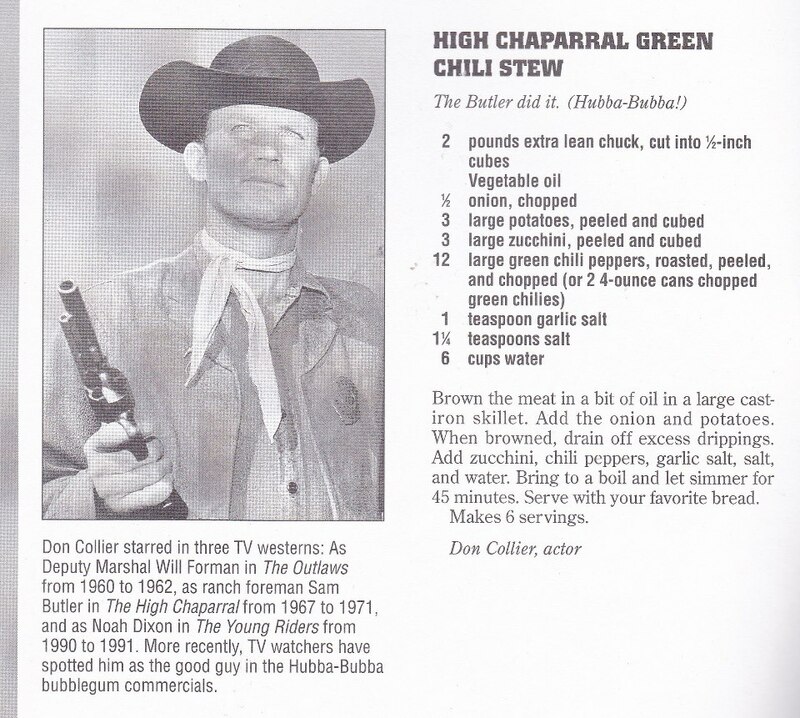 (this doesn’t include the private lunch with the stars but is still a great, inexpensive High Chaparral day). Check the Schedule and Rates on the web page for details. The Friday only package doesn't include the Sponsor's dinner, but you can always hang out around the casino, have a burger, then come back in after dinner to watch episodes and visit with everyone. Then pay the gate fee at Old Tucson for entrance and a visit to the ranch house on Saturday morning. 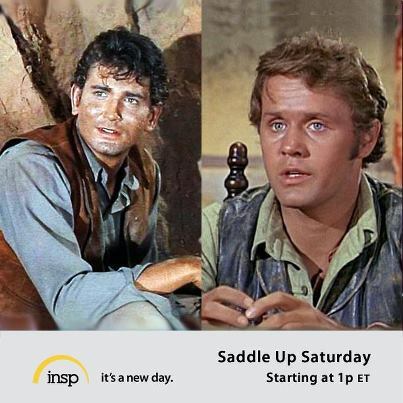 You can also choose a Saturday only or Sunday only package – both offer lots of High Chaparral fun. For the entire weekend the most economical way to go is the 3-day package at $350. And book before February 2, otherwise you'll pay a hefty late fee. It’s not required that fans stay at Casino del Sol. To pinch pennies, choose a budget hotel on Travelocity.com for around $40/ $50 and then drive to Casino del Sol for Reunion fun. You can still use our free shuttle to Old Tucson if you like. Hollywood has done it again – it has ‘discovered a star who has been screaming and kicking on the front door for the past 10 years. Just a few weeks ago Henry Darrow could not give his autograph away with a dollar ill attached to it; now he has writer’s cramp. Darrow, who appeared in 32 movies and more than 75 television series, while adding to the family income a door-to-door salesman, is suddenly standing up to his belt-buckle in the land of milk and honey – all because of a Mexican rascal named Manolito. 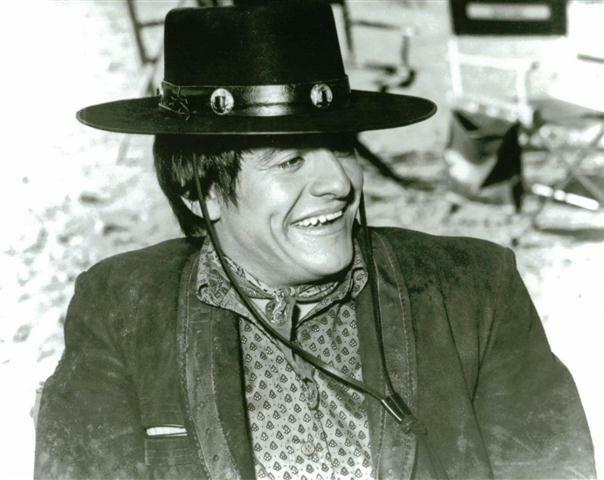 Darrow’s portrayal of Manolito in the NBC Television Network series “The High Chaparral” has won him national acclaim from television critics across the land. They are calling him the star of tomorrow, and a young Gilbert Roland – and if Henry’s smile gets any broader his head will turn inside out. “It’s beautiful, man,” says the hip-talking young artist. “I only had one year to go on my own five-year limit. My wife has had to help me support our kids for so long I had decided that if I didn’t make it in five year's – zap – I was going to toss the whole bit and find another way of making my living." Television writers who have been interviewing Darrow during the past few weeks often ask who came up with the idea for the weird hair style worn my Manolito. Today Darrow has enough money to afford a barber for each individual hair, but he has no intention of putting his wife out of work. 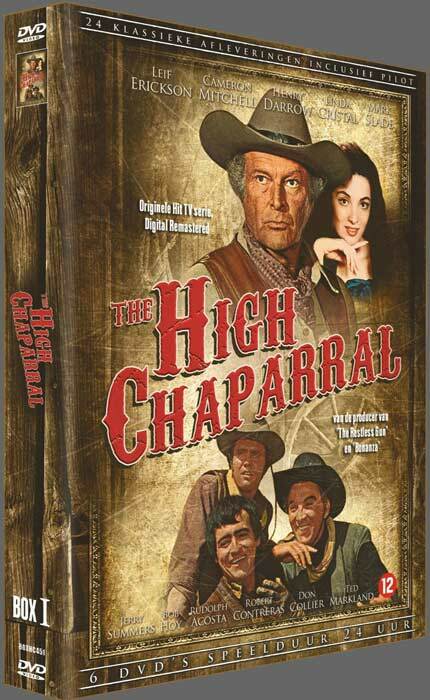 Remember if you want your own copy of The High Chaparral, you can order Season One of The High Chaparral from The High Chaparral Reunion. Each DVD set only is $65.00 plus shipping, this is approximately what you would pay ordering from the Netherlands with foreign conversion/shipping. Both sets will ship at the end of January/first of February, pre-order now for earliest delivery. Henry Darrow Biography, available on Amazon and other outlets.